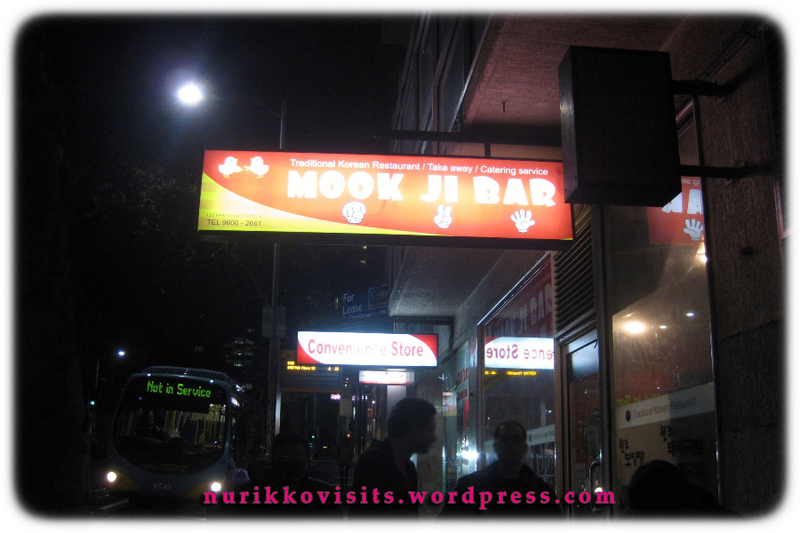 Situated on the between Queen Street and Elizabeth Street on Lonsdale Street, Mook Ji Bar definitely does outshine the other few Korean restaurants located on the same street. 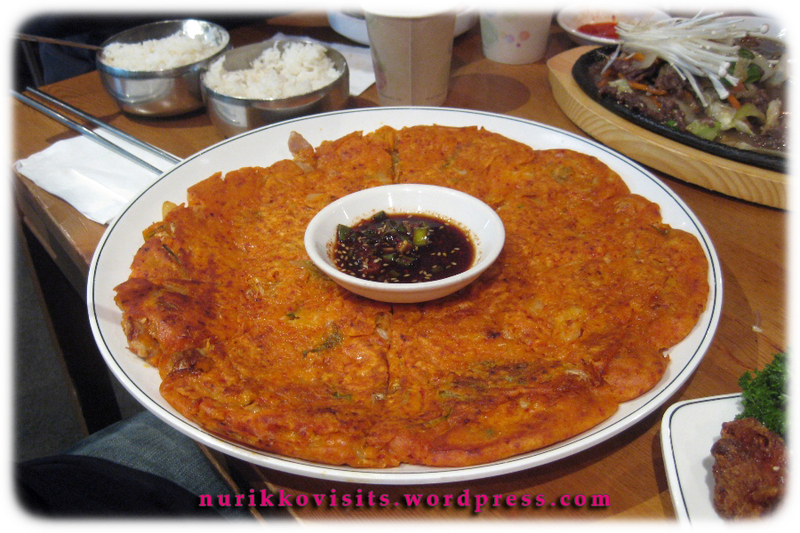 Here goes – I was recommended by a friend who was recommended by a Korean friend to go there for some authentic Korean food; something that impresses real Koreans can not go wrong. On my very first visit, my impression was that there were a lot of international Korean! 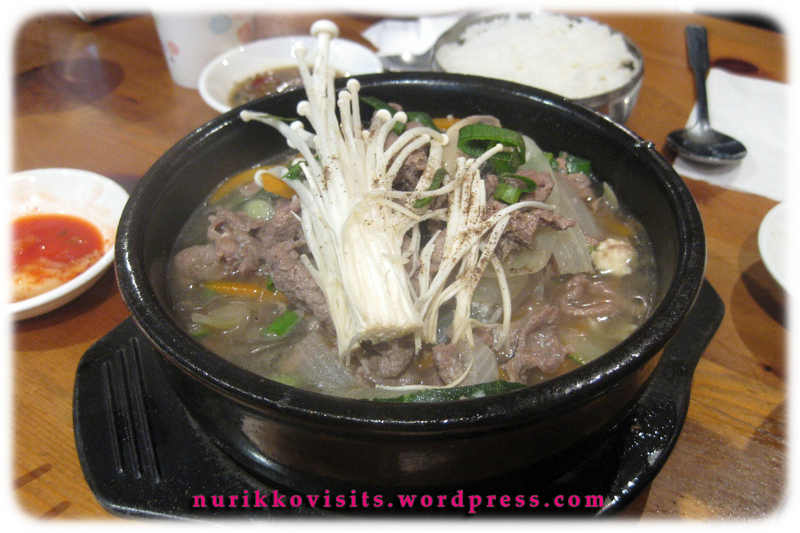 In this fast paced Korean restaurant their diners didn’t stop coming in, they were mainly Koreans through observation. I liked their menu, there were a lot of dishes to choose from, great variety; but if you are unfamiliar with Korean cuisine it is best to take someone who does with you. I wouldn’t expect their staff to recommend dishes or explain what things were, they seemed way too busy taking orders and delivering dishes. That being said, each dish on their menu have an English description in detail; made very easy to process. Entree pancake was cut into 8 slices, shared between 6. It was a big pancake! A popular dish amongst my friends, can’t go wrong with marinated beef right? If I was by myself I would probably just have this soup for dinner. 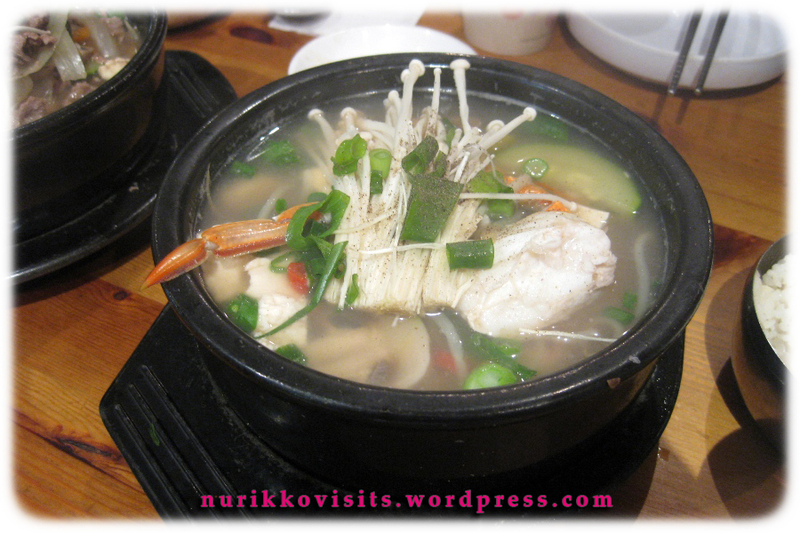 It was in contrast a very plain flavoured soup, but I believed that it was full of goodness. Everybody loves deep-fried food xD This KFC styled dish was a people pleaser. Rice x 3 = $6.00We were very happy with the dining experience in Mook Ji Bar; I would definitely go back again and be a lot more adventurous next time =] (I was told that the beef intestine dishes were very impressive kekeke).Menu photos can be found in the gallery below. 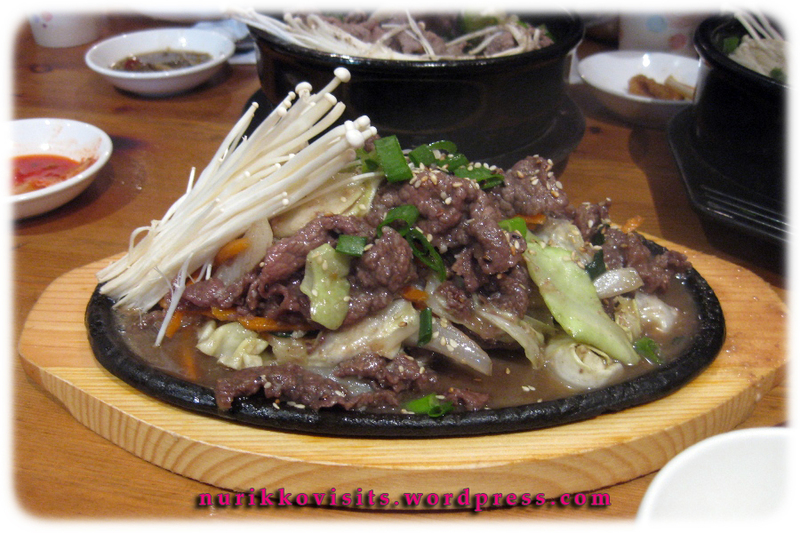 Categories: $ Cheap eats (below 15), Asian, Bar (Licenced), BBQ, Deep Fried, Dinner, Favourited, Hit, Korean, Lunch, Melbourne CBD, Menu, Recommended, Seafood, Soup, Spicy, Traditional / Authentic, Vegetarian | Permalink. No I am a freak of Schezwan food and Korean food.. 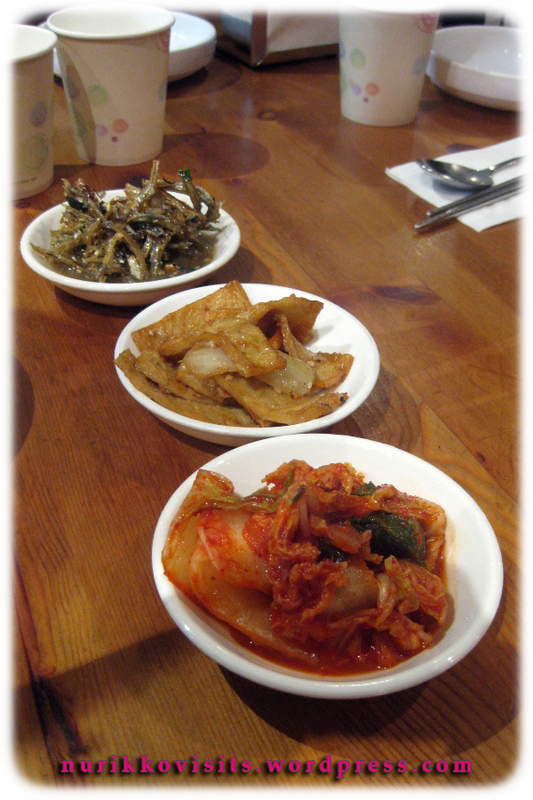 I loved Schezwan in South Yarra lovely… You need to pair with Saki or red wine with Spicy food. Upload. AMJATH BHai is the name of the owner & you can refer my name..
Wow! Thanks Raj, Zam Zam sounds amazing! I will definitely visit them! Please visit and mention my name to SAM- Raj. He will know my name..